Utilization the truth of "One Citta at a time"
Nowadays, many meditators_yogi contemplate that mind, body, life or everything-etc; is impermanent, unsatisfactory and non-self. Our intellect can understand any mind and body are not mine, yours, myself, and yourself. We understand that mind, body, life or everything is subject to change, impermanent, unsatisfactory and non-self. But we still attach life, mind, body and the meditation method-etc; with strong likes and dislikes. Why is our attachment to life, mind, body and the meditation method-etc; still strong? It is because of mistaking that life(mind & body) our habitual perceptions can detect is real and existing for a certain period. In other words, we are misunderstanding that mind & body we contemplate are the Citta, Ceticeka, and Rupa the Buddha taught as original truths. In Abhidhamma(Original truth_higher teaching of the Buddha), it says that there is only one mind or consciousness(citta) at a time for a mental process. In reality(in original truth), one mind or consciousness can arise after the previous one has already disappeared. This is the natural law of mental process. This law is known as the citta-niyàma (psychic order). The psychic order is that only one mind or consciousness(citta) can arise at a time. In other words, each consciousness has to cease before the next one arises. One consciousness can appear after the previous one has already gone. 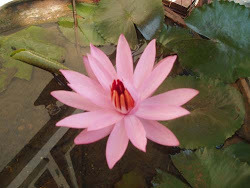 In reality, observing mind or mindful consciousness or mindfulness can’t see the real arising and passing away of the previous mind such as feeling, perception, volition or thinking etc; which is assigned as the object of meditation in cittanupassana and vedananupassana (contemplation of mind and feeling). Because observing mind or mindfulness can arise after the previous mind or feeling or volition or thinking-etc has already disappeared according to the psychic order or natural law of mental process. Nevertheless, our mindfulness or observing mind in meditation, seems to be seeing and observing the arising and passing away of the previous mind such as thinking or feeling or perception or volition or desire -etc which has already gone. Why is it becoming like that? So, why does one mind seem to see the previous one arising and passing away which has already gone? In fact , it is just delusion or illusion. It is just creation, fake and fraud. That means the mind such as thinking or feeling or perception or volition or desire etc; our mindfulness is contemplating is not real. Thus, our contemplation of Anicca, dukkha, anatta concerning with the mind and body we are now understanding is also untrue and fake and fraud. In reality, according to citta-niyàma (psychic order or natural law of mental process) i.e. one citta at a time and two minds can’t arise at a same time; one mind is specified to arise only when the previous mind has already disappeared, but it seems to be seeing the previous one arising, existing and passing away. It is because of the deceitful actions or creations of the momentum of the previous minds which have already vanished. In fact, one mind feels, perceives, knows or acts upon only the situation of nothing after the previous mind has already passed away. How meaningless, empty and unsatisfactory is its nature! But we think the action, feeling, responses and experiencing of our mind is meaningful and worthy to be centred, emphasized and taken as original reality or essence of life. It is because of the deceitful actions of the momentum of vanishing (impermanence) of previous mind. The deceitful action(activation) of the vanishing momentum of the previous minds which have already disappeared, create the previous mind which has already passed away as if it is arising, existing and passing away, so the mind such as feeling or perception or volition or thinking - etc; seems to be arising, existing and passing away in our perception. Thus in meditation , our mindfulness/perception seems to be seeing the previous mind such as perception, feeling, knowing, thinking or volition -etc, is arising, existing and then passing away. If so, why do we develop that kind of mindfulness? In fact, the main aim of our practising and developing mindfulness upon mind and body is to be able to accept and understand the truth that on account of constant vanishing_impermanent nature (deceitful actions of vanishing momentum of the previous minds), our mindfulness seems to be seeing as if the feeling, ascribing, seeing, hearing, smelling, tasting, sensing, and thinking _etc, seem to be alive, arising, existing for a certain time and passing away. In this case, it is necessary to understand and accept that our current mindfulness itself is also just created truth, in fake seeing and even itself is also in vanishing nature, unworthy to be attached and grasped as reality. According to citta-niyàma (psychic order or natural law of mental process) our mindfulness (observing mind) cannot detect or know the previous mind which has already gone. Here we are explaining about citta-niyàma (psychic order or natural law of mental process)"only one citta at a time" which is arising & vanishing within very short moment. So, we may misunderstand that at first we must try to see directly "only one citta_consciousness at a time" which is arising & vanishing in very high rate as mentioned above. 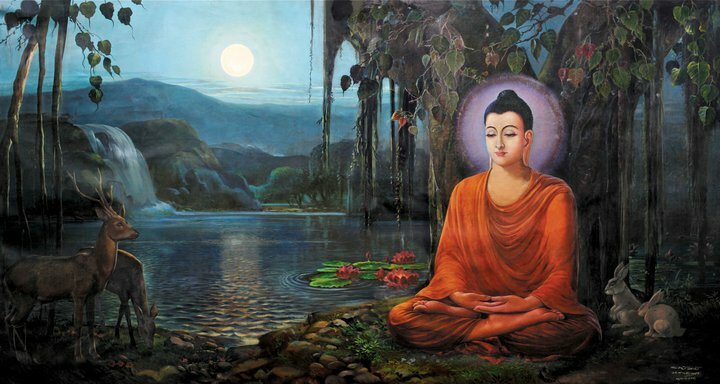 Buddha taught the natural law of "one citta at a time" not because he want us to see that nature firstly and directly but because he want us to accept that our current mind/perception/feeling/seeing is unreal yet and just created truth or fraud or fake by sankhara dukkha_real impermanence in high rate as mentioned above. It does not mean, by seeing the real nature of "one citta at a time" directly, real enlightenment will appear. But it means to accept, contemplate and understand that whatever our mind can now perceive is just created truth or fraud by (sankhara dukkha)real impermanence(constant vanishing nature in very high rate) by understanding and remembering that natural law of "one citta at a time" that one mind cannot see the previous mind arising and existing. By accepting and contemplating like that, we become able to abandon the attachment, grasping and centering upon whatever our mind can now perceive as reality and as of real importance. In meditation or daily life, our perception/mindfulness seem to be seeing the previous mind such as thinking, knowing, feeling or volition is arising, existing and passing away because of the deceitful action of the constant vanishing momentum of the previous minds. But do not mind for this fake seeing. Just try to accept and contemplate whatever concerning with our current mind is just created truth and fake(fraud) because of (sankhara dukkha)the momentum of the real impermanence (constant vanishing nature in very high rate) of the previous minds which have already disappeared. What advantages will come out by accepting, contemplating and understanding as mentioned above? 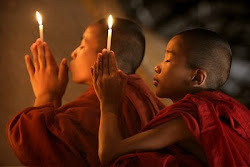 we become able to abandon the attitude of centering, emphasizing, attaching them as reality and as of real importance. The most important we need to understand is our main goal is to abandon the centring, emphasizing and attaching the created truths such as mind and matter that we are now understanding as reality and as of real importance. Our aim is not to become a someone/something special/nothing. This middle way is the direct stopping the unsatisfactory round of constant arising and vanishing nature __ dependent origination (Paticca Samuppada). the less misunderstanding of the feeling good or bad (Vedena) as original reality and importance. Thus, our mind-action do not centre, emphasize and attach upon whatever concering the mind & matter that we are experiencing and knowing, as reality and as of real importance. So, there will be no more arising of likes_ craving and dislikes_aversion (Tanha) concerning the mind such as feeling, knowing, experiencing, attributing, knowing, unknowing, thinking and not-thinking -etc. The less attachment and centring of mind and matter in our current perception as original reality, the more we can understand the original truth and created truths correctly. More and more understanding to original truth & created truths correctly , our mind becomes perfect and free from defilements such as worries, aversion, craving, jealousy, sorrow, unsatisfactoriness, sorrow, lamentation, stress, agitation, doubts and attaching because of having connection with the Original Truth which is perfect, permanent and forever constant. Our life and contemplation will become free, happy, peaceful and full of blessing naturally. 1) The main purpose of explaining " only one citta at a time"
is not to try to see it firstly and directly. It is just giving the reason so that we can accept, contemplate and understand easily that whatever mind and body in our current perception is just created truth and fraud by the illusive action/activation of constant vanishing momentum of previous minds which have already gone. 2) The main purpose is to become able to abandon the mind-aciton of centring, emphazing and attaching upon the mind and body with believing them as reality and a real existence, by accepting and contemplating as mentioned above. 3) The more we can abandon the attitude of centring, emphasizing and thinking upon mind and body as original reality. the more detachment of our mind and body. 4) The more detachment of our mind and body, the more insight leading to real enlightenment. 5) Then, our mind will be free and it will also give rise to the ability of right utilization of created truths and thus our action will become "doing only ", "experiencing only" and "understanding only" upon the various kinds of "events," "actions and inactions," or "understanding and not-understanding" which enables us a real happy and easy life. 6) Priority is to abandon the attitude of centring, emphasizing, attaching with likes & dislikes upon mind and body as Priority and Original Reality. (This article is based on the guided talks of meditation teacher, Ma Chit Myat Noe from Than_Lyin Natural Meditation Centre, Yangon, Myanmar(Burma).